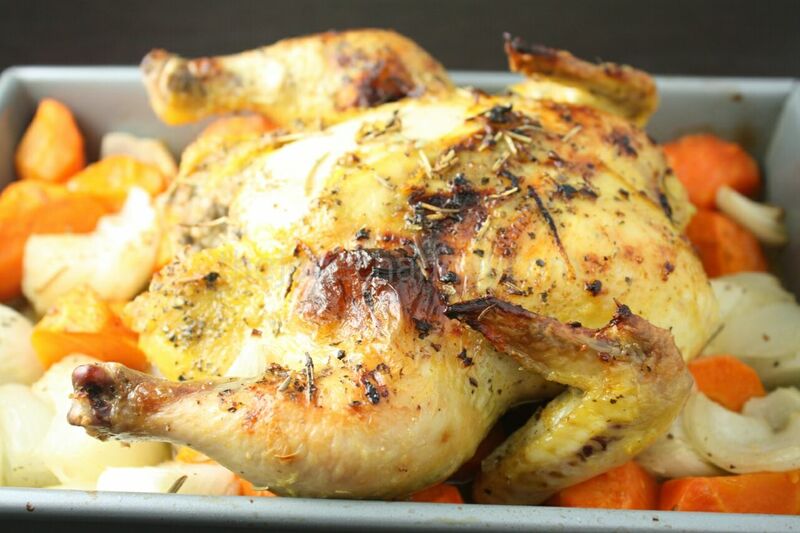 A whole roast chicken appeals to everyone, from kids to sophisticated diners. You can find a large one for $5 at Costco, but they’re often available as well at fancy restaurants. It seems that everyone has their own way of making it, and there are hundreds, maybe even thousands of recipes on the internet, but it was laney’s bog that inspired us to make this dish. 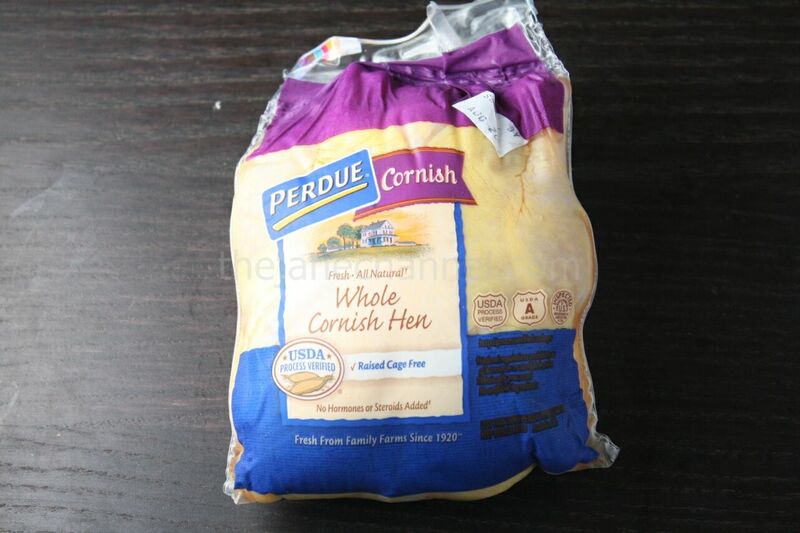 The Cornish hen (less than 2 pounds) is the perfect size for a meal for two people and has more tender meat than regular sized chickens. We decided to use the herbs that we have at home and my favorite spice, rosemary. By seasoning under the skin and re-applying the pan juice to the skin, the meat is tender and moist including the white breast meat. The drippings from the chicken are not wasted and are absorbed by the carrots and onions underneath. Heat some oil in a saucepan over medium-high heat, add garlic, carrots and onions. Cook for 10 minutes or so, until halfway cooked through. Season with salt and pepper and transfer to baking pan. Preheat the oven to 375 F. In the meantime, mix the garlic, rosemary, Italian herb mix, lemon zest, lemon juice, and olive oil. Carefully separate the skin from the flesh and slip half of the seasonings under the skin without tearing it. Spread the remaining half over the top of the hen and season with salt and pepper. 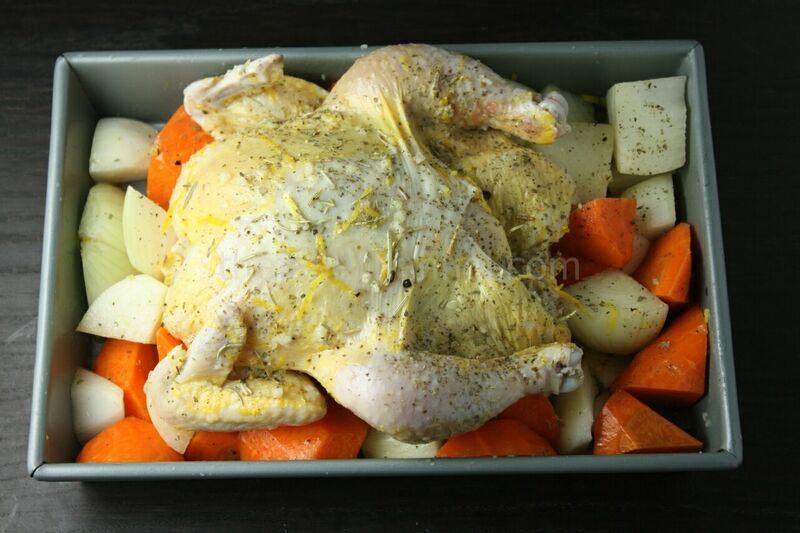 Arrange the vegetables at the bottom of the roasting pan and place the hen on top, breast side up. Roast for 30 minutes. 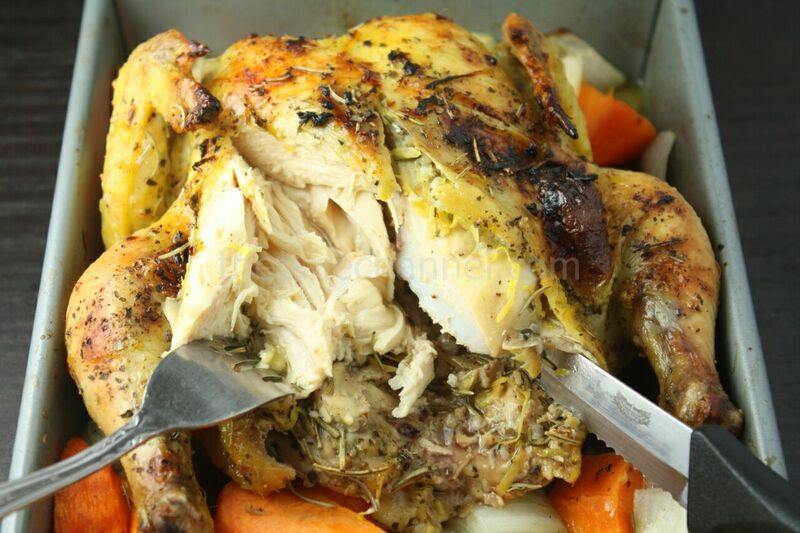 Remove hen from the oven and use a spoon to scoop the juices at the bottom of the pan and pour it on top of the chicken. Bring the hen back to the oven and roast for another 20 minutes at 450 F until the juices between the breast and the leg run clear. This should give the chicken some nice brown color. hahahaa this is the house favorite at home in HK! Awesome recipe!…..tried it n love it. Thanks!